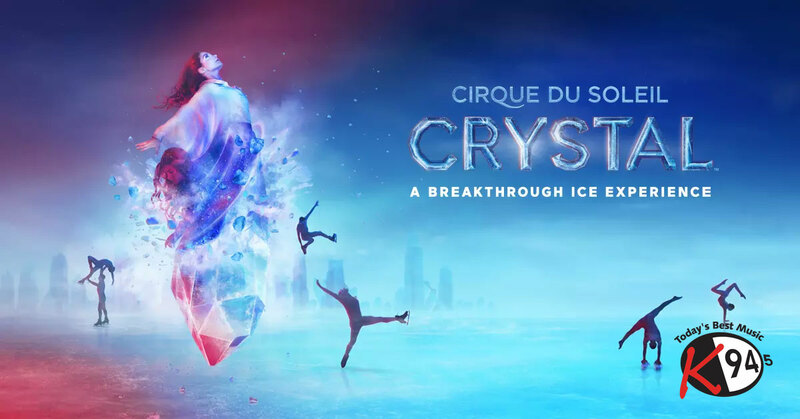 Cirque du Soleil Crystal™ — A Breakthrough Ice Experience will be in Moncton at the Avenir Centre from August 14th – 18th for 8 performances only! Watch world-class ice skaters and acrobats claim their new frozen playground with speed and fluidity as they challenge the laws of gravity with never-before-seen acrobatics. A new kind of performance as Cirque du Soleil meets the ice to defy all expectations. Crystal – an exhilarating journey of speed, wonder, and discovery! Listen to Aaron & Tosh weekday mornings, Feb 11th – 14th at 7:35 for The K-Impossible Question. Answer all 3 questions correctly and you’ll win a pair of tickets to Cirque du Soleil Crystal! Plus listen to the K-Rise for a BONUS chance to win.